There is an air of excitement in Sabah’s oil and gas industry as the State takes an increasing role in the development of this highly lucrative resource. As large oil companies such as PETRONAS, Shell and Murphy Oil plan their business strtegy to make the most of Sabah’s oil and gas, the State Government is losing no time in developing the infrastructure and industrial facilities required to accommodate the business sector’s needs. “Within the next five years, the oil and gas downstream processing industry is projected to act as a major contributor to Sabah’s manufacturing sector and to the State’s overall socio-economic sector,” according to Chief Minister Musa Aman in his opening speech at the 2nd Sabah Oil and Gas Conference today. 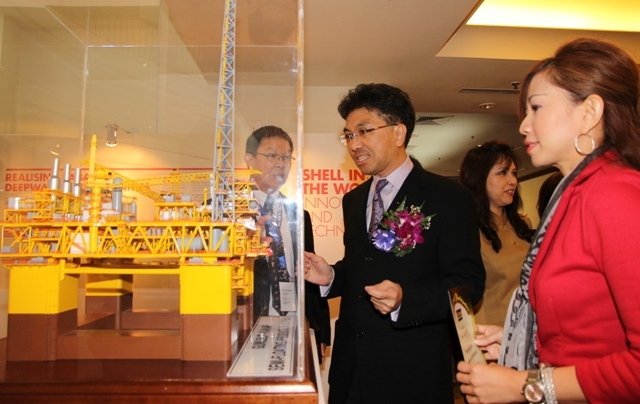 In his speech delivered by Minister of Industrial Development Datuk Raymond Tan Shu Kiah, the Chief Minister said the decision by major oil companies to establish large-scale oil, gas and energy projects in Sabah is indicative of the sector’s commercial viability. Ongoing oil and gas projects in Sabah include the Sabah Oil and Gas Terminal (SOGT) at Kimanis, the Sabah-Sarawak Gas Pipeline, the 300-megawatt gas-fired power plant in Kimanis and Lahad Datu, the granular urea and ammonia plant (SAMUR) in Sipitang and the re-gasification plant in Lahad Datu. Together, these projects are expected to generate approximately RM18 billion worth of investments and create about 23, 000 jobs. “SAMUR alone, which will come on-stream by 2014, is estimated to bring in about RM4.5 billion worth of investment value and provide over 2, 000 jobs,” Musa added. Another ongoing project is the development of the Sipitang Oil and Gas Industrial Park (SOGIP). SOGIP is expected to rake in about RM30.6 billion in investments. According to Tan, the response for SOGIP has been positive with many major investors already showing interest on the development. The benefits of SOGIP will also extend beyond financial gains, as the development of SOGIP will transform Sipitang and its surrounding districts, Musa said. However, the Chief Minister stressed that although the government is pursuing a rapid development of the industry, it will not do so to the detriment of the environment. “We seek the commitment of investors in the various growth sectors to act responsibly not only by conforming to existing safeguards and rules but also to seek new ways and technologies to lessen the damaging impact on the environment,” he said.